I really enjoyed this story and could hardly put it down!!! I loved how the story within the story was revealed slowly throughout the book…making the reader read until the end to reveal everything and answer all of the questions/wonderings that were brought up. The book is set at a lighthouse station on Lake Superior, and I wish I had checked a map during the reading of this book to give myself a picture of the geography of where it took place and to where they travelled. I’d recommend this book to anyone who enjoys a slowly-revealed story within a story, and also to fans of Kate Morton. Here’s the description from Goodreads. “Though her mind is still sharp, Elizabeth’s eyes have failed. No longer able to linger over her beloved books or gaze at the paintings that move her spirit, she fills the void with music and memories of her family—a past that suddenly becomes all too present when her late father’s journals are found amid the ruins of an old shipwreck. With the help of Morgan, a delinquent teenager performing community service, Elizabeth goes through the diaries, a journey through time that brings the two women closer together. 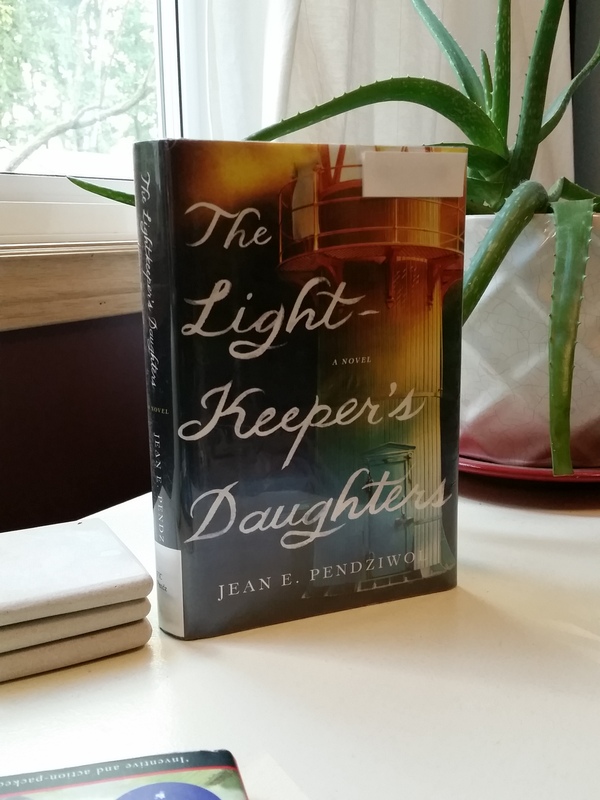 Entry by entry, these unlikely friends are drawn deep into a world far removed from their own—to Porphyry Island on Lake Superior, where Elizabeth’s father manned the lighthouse seventy years before. *My progress for the Canadian Book Challenge is 7/13! !